Architecture in Australia is starting to incorporate Aboriginal art on a larger scale than anytime before. A sign of Australians reconciling with their past? 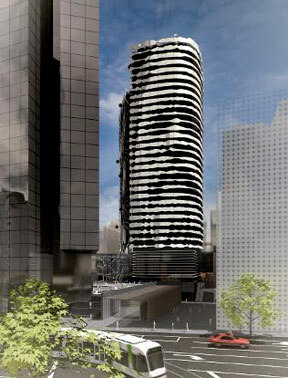 Melbourne's suburb Carlton features a 32-storey building showing the portrait of Wurundjeri leader William Barak. 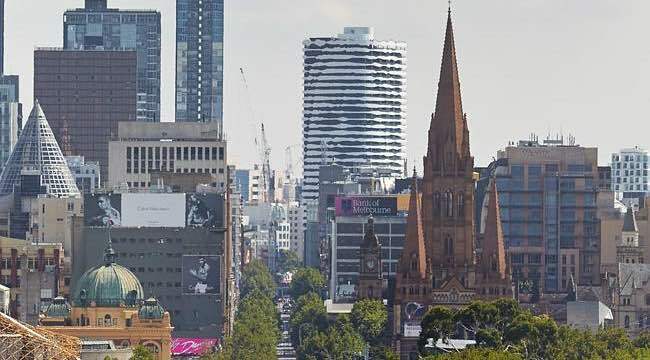 The 85-metre face has been created with the white balconies against black windows of the southern and eastern facades of an apartment building at the former Carlton United and Brewery site on Swanston Street. It was opened on 5 March 2015. 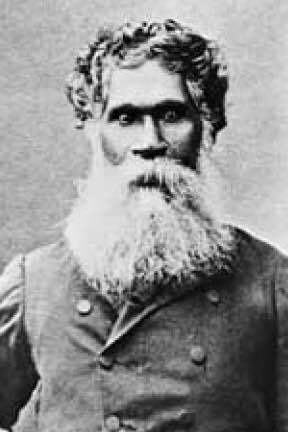 William Barak (c.1824–1903) was a tribal elder and artist who was an influential spokesman for Aboriginal social justice who fought with the colonial government of his time to return the land to his people. He was renowned for working to bridge the divide between black and white Australia. The architecture firm said they wanted to design something to represent the deep history of Melbourne. They created the design in consultation with members of the Wurundjeri community and William Barak's descendants, both of whom supported the project. "William Barak was the voice of the nineteenth century and now the face of the twenty-first,” said Aunty Joy Murphy, a Wurundjeri elder . “His image acknowledges the past and embraces the present and future of cultures working together." . Horizontal white panels create the illusion of the face but are distanced from residents' balconies. Designers say Barak's image is best viewed from the Shine of Remembrance, nearly three kilometres away, with which it is connected by a direct line of sight. In an online reader poll more than 64% of respondents supported the idea when it was first published .